The useless part is right, BUT ITS A FUN KIND OF USELESS!!!!!!!!!!!!!!!!!!!!!!!!!!!!!! Honestly True Warrior, how is a comment like that productive at all? 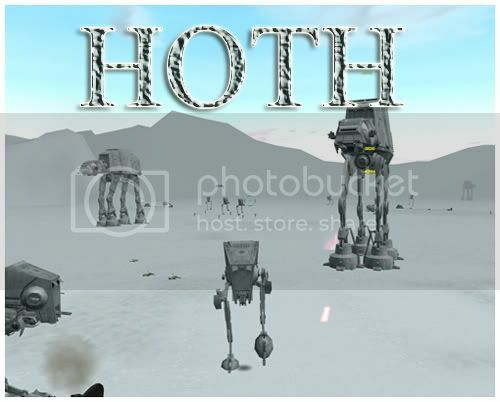 I'm looking forward to a new Star Wars MMORPG one day! Wow !! This is fascinating. If only I had looked sooner. Mando is still around and bigger than ever. 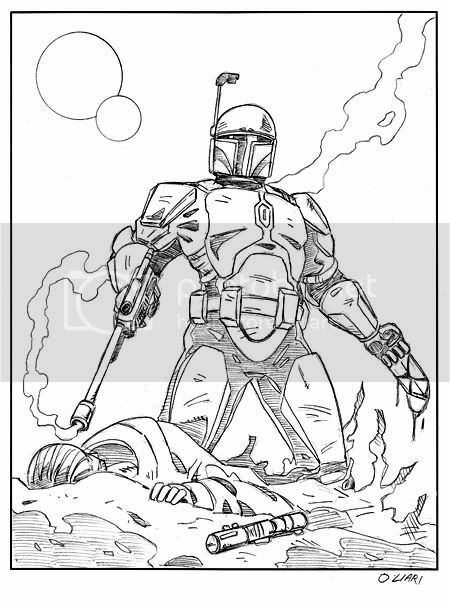 In our current "RP" storyline, it has been a full year since Mandalore Dose Ordo and his clan burned Theed to the ground. In response, Emperor Palpatine sent out many of agents who all fell one by one to the Mandalorian Brotherhood during months of war. Now Palpatine's attention has once again turned to that of the Rebellion, as the galactic civil war rages over every planet's surface. 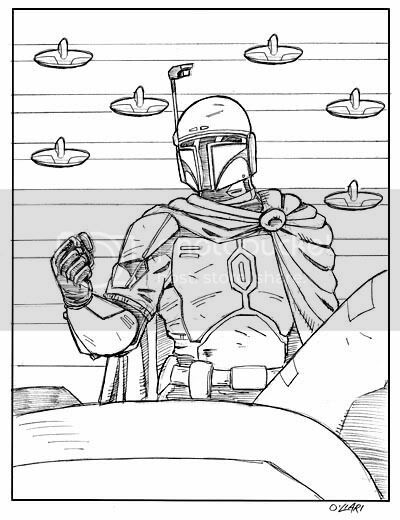 The Empire 'hired' the Mandalorians to fight alongside them in the war, only to abandon them and leave the warriors with then BOTH the Empire and the Rebels to battle against. It is a dark time for Mando, but they will never give up. mmmmmmmmmmm...............burning Theed to the ground. Someday when I get highspeed, count me in ner vod. 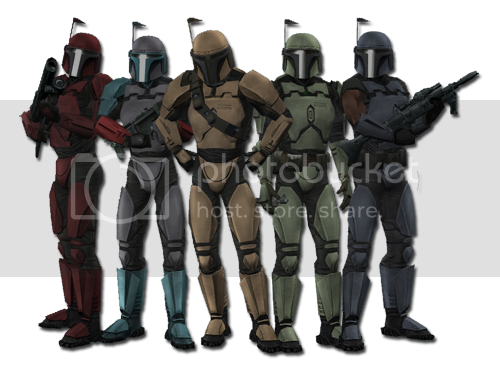 I don't want to steal thunder from your clan mccoy, but I honestly forgot the name of your clan when I made this, but I started an Xfire clan called the mandalorian brotherhood, if anyone wants to join. My username on that is Krakenkiller117. It's the nightsister queen Axkva Min's eternal bodyguard, his name is Gorvo and he is one of the mini bosses before you fight her in the new batch of heroic encounters in game. 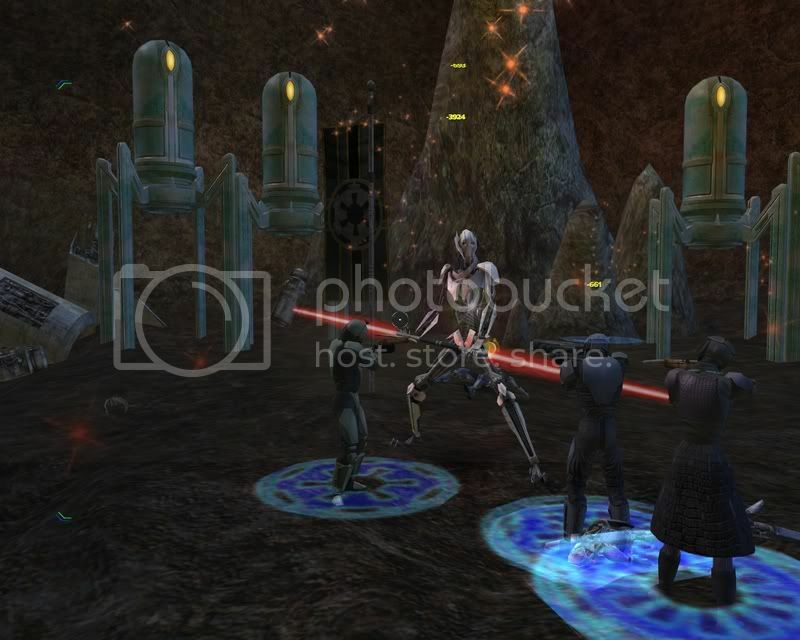 Rebels and Imperials can take part in unique battles of Echo Base. 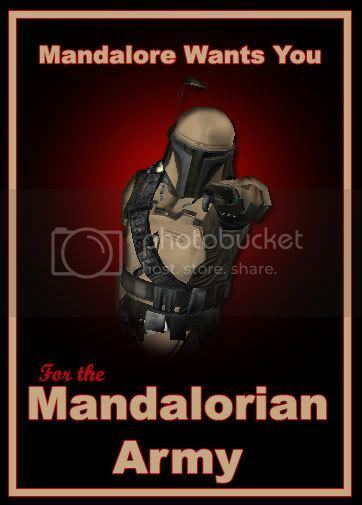 Join MANDO on Wanderhome and get in the fight! Thanks for keeping everyone updated Lucas, I knew I kept you around for a reason. With the Free Character Transfer Service just released, The Mandalorian Brotherhood has moved from the Wanderhome server to Starsider! Starsider, known across galaxies for it's roleplay and larger community, its now unquestionably the largest server on Star Wars Galaxies, and home to more than one Mandalorian community (for now). If you're looking for LOTS of action, come on over. ALL accounts that were inactive as of July 2008 have been given a FREE month for old players to check the game out and transfer their characters if their server qualifies! and the infamous Lucas McCoy. do some epic looking wallpaper?